Stay tuned for an Island Hunters Marathon on Friday, February 17th! 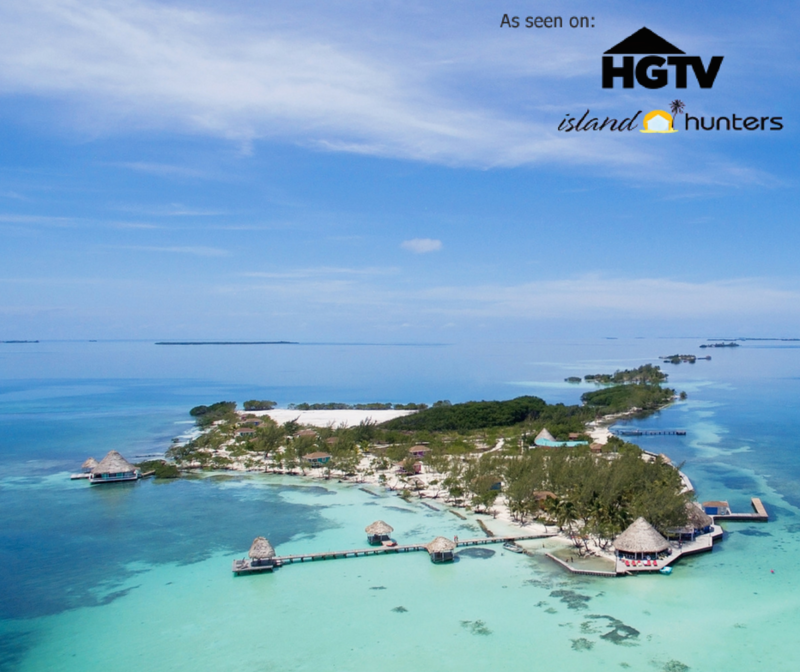 Coco Plum Island Resort was featured on one of HGTV’s newest shows – Island Hunters. It’s the same concept as House Hunters, but instead of houses it highlights exotic private island escapes. In the episode featuring Coco Plum, couple Pamela & Paul are in search of a destination wedding and honeymoon in Belize. Be sure to tune in on Friday, February 17th to see which private island they choose! The HGTV Island Hunter marathon starts at 12PM Central Time and the episode featuring Coco Plum is scheduled as the second episode airing at 12:30PM. Please check your local listings to confirm time. Schedule/episodes subject to change. SPOILER ALERT: Of the three Belize private islands, Pamela & Paul choose Coco Plum! They found that our private island paradise was the perfect mix of privacy for their romantic beach wedding with all the amenities of an all inclusive resort. Coco Plum Island Resort is an adults only all inclusive private island resort. With only 18 oceanfront cabanas and a 3 bedroom / 3 bath overwater villa, Coco Plum is the epitome of romance and seclusion. Contact us today to book your private island getaway!